Hi, I'm Lisa Sadleir, I help families who are moving to Spain. Having lived, worked and set up companies in many different areas of Spain over the past 20 years, I have a wealth of knowledge and experience to share. 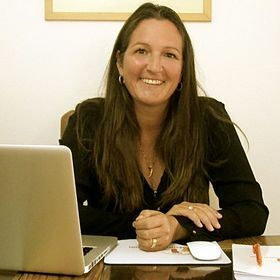 Qualified in European Business Administration, multilingual and experienced in tourism,new business creation and Spanish bureaucracy, I am always keen to assist others with new and existing ventures in Spain. I have a passion for learning and for success. I look forward to helping you succeed in your goals and your new life in Spain. Contacting me, Lisa Sadleir, is you first step towards a successful relocation to Spain. I look forward to speaking to you. CCB Spain, also known as Costa Consulting Bureau, is an invaluable source of advice and assistance for all expatriates who: live in Spain; work in Spain; own a holiday home in Spain; or are thinking of moving to Spain. We are often referred to as an "Expat Gestoria" due to the wide range of professional services we offer, such as legal representation, contracts and paperwork, vehicle transfers and importation, accounting and tax related issues. All provided at very affordable rates. Thanks to our network of experienced professionals, we are able to offer a variety of high quality services including: - Business Services - Relocation Services - Expat Services - Property Services Our services are available to anyone with interests in the Spanish mainland, Balearics and Canary Islands. A website and blog that has been, work in progress, for many years and is a culmination of: o Our desire to enhance our own Family Life in Spain, by discovering more about what Spain has to offer o Our wish to have a diary of our family life o Our ability to give others a genuine account of Family Life in Spain o Our desire to share our experiences and knowledge with others considering relocating to Spain o A need to keep people informed of the changes in Spanish procedures, laws and regulations to help us all maximize our enjoyment of Family life in Spain We started blogging in October 2010. The idea is that our site grows with our children. Our lives are focused around them and, thanks to them, we are learning more about the country we have chosen to make our home. Founder and joint manager. Accounting & payments. I love learning, especially when I share my knowledge with my children. I am an enthusiastic, experimental cook. I love music. I enjoy interacting and networking via social media and I regularly challenge myself to organise fun and successful charity events. Spain is my passion and my family are my life.